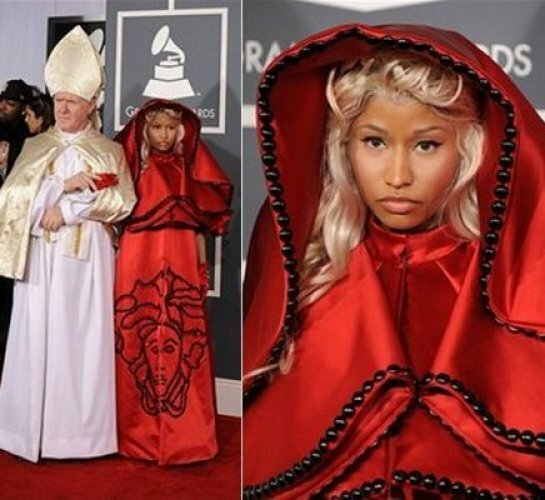 Nicki’s split personalities are a reference to Monarch programming. This kind of split personality/ doll/ shattered self/ puppet or mannequin imagery and behaviour is being promoted everywhere right now by the corporate music/ fashion industries. 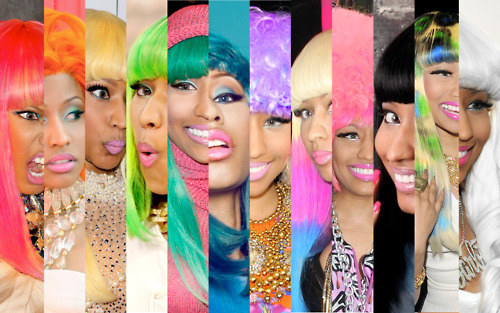 Whether or not Nicki is actually programmed herself (who knows?) is not the issue because MK Ultra, Trauma Based Mind Control is well documented already and many people continue to speak out about it. The reason why so many of these highly paid ‘artists’ (AKA Fame Monsters AKA Sell Outs) are now promoting blatant split personalities in a ‘fun and playful way’ is because the music industry and Hollywood etc want young people (the next generation) to accept and embrace multiple personalities as normal and even ‘fun’. They want multiple or shattered personalities and dissociated states to become a normal part of mainstream culture, so that future generations won’t freak out about (or even notice) MK Ultra style mind control (or trauma induced DID) when they see evidence of it in other people such as celebs or politicians … or perhaps even in themselves. If you can’t hide something which is serious and bad – just redefine it as good or fashionable. Problem solved! These days nobody makes it to the top on the music industry (Rihanna, Jay-Z, Nicki Minaj, Beyonce etc) without selling out big time and becoming a puppet to the forces which ‘create culture’. Over the last decade these corporations have even managed to persuade us that selling out to them is not only acceptable but even something desirable. Even in the late 90’s the public used to sneer at manufactured boy/ girl bands (the industry even used to try and pretend these manufactured bands had been ‘discovered’). And if an artist did corporate sponsorship they were a considered a corporate whore – NOT a serious artist. But these days selling out to corporations and licking their backsides is considered the WAY TO MAKE IT. And thanks to so called ‘Reality TV’ and talent TV shows, selling out in order to ‘be famous’ is what most kid aspire to do now. When the youth willingly surrender their minds and souls to faceless corporations and let these corporations control youth culture and dictate what’s fashionable, well guess what? – the corporations take full advantage of this huge power! The result is a mainstream culture full of corporate fascist propaganda…. and a population who are mostly too dumbed down to even notice. haha i LOVE it. great points too.